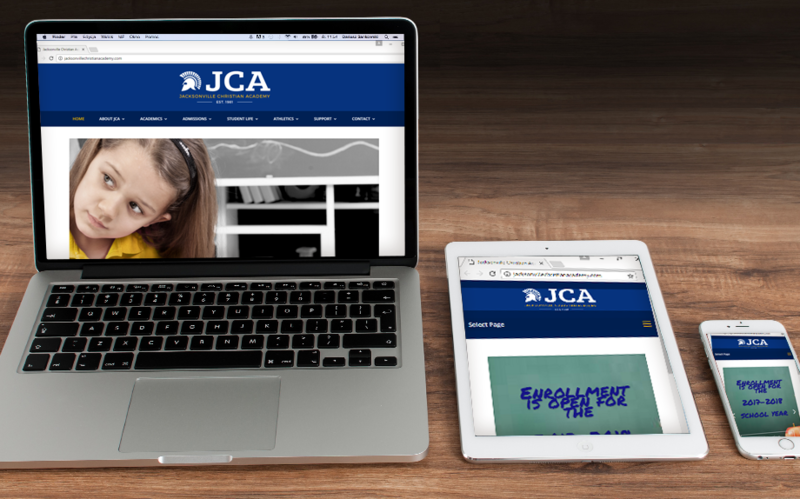 Jacksonville Christian Academy retained our agency to develop a mobile-friendly responsive site that would provide more effective engagement for parents, students and prospective parents in the Jacksonville, NC area. The administration and staff at the private school found their old website difficult to manage. They desired to disseminate information quickly and easily. They also wanted a site that represented their organization well visually and was easy for visitors to navigate. 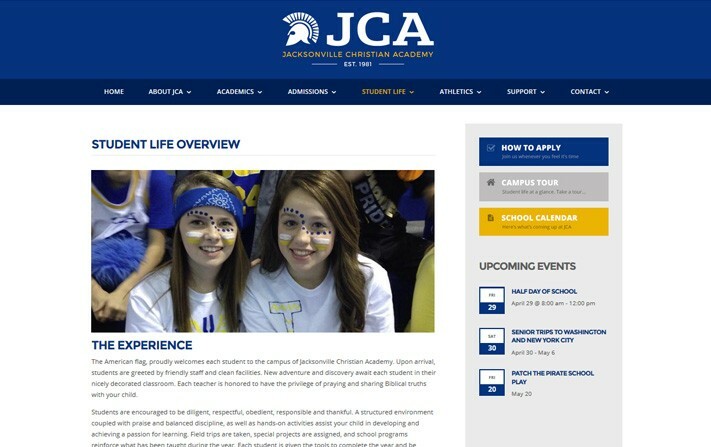 The responsive site designed for the school gives them a user-friendly framework for their updates and parent information. It also provides a consistently branded channel for communication with prospects, parents, and the community.